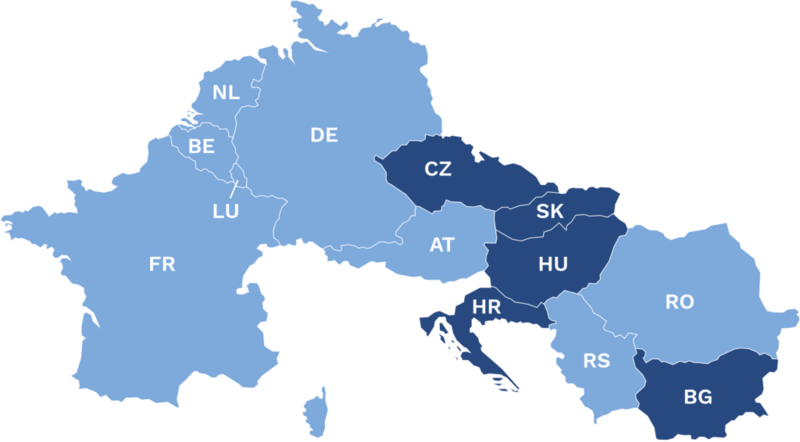 Having 15 partners from 13 European countries joining their forces within this project, RIS COMEX is the largest RIS implementation project in Europe so far. The TEN-T funded study CoRISMa paved the way for the realisation of RIS Corridor Management within RIS COMEX. Based on the agreed definitions out the CoRISMa project, Corridor Management is divided into three levels. The well thought and logical structure of the project together with clear responsibilities ensure an efficient execution of the project. A key objective of RIS COMEX is to ensure the sustainable operation of the realised Corridor Services beyond the project end date. 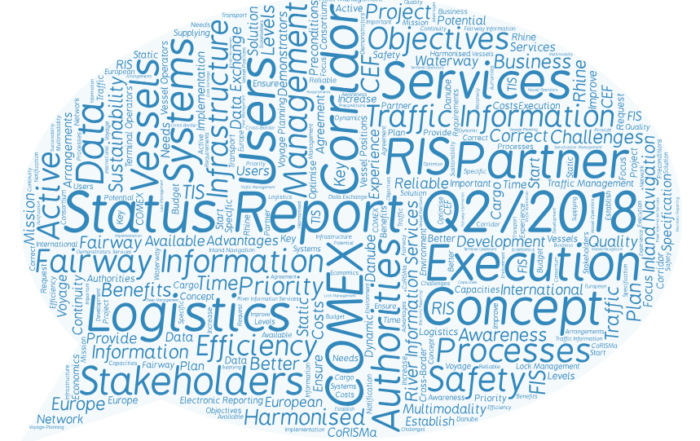 RIS COMEX is a CEF funded multi-Beneficiary project aiming at the definition, specification, implementation and sustainable operation of Corridor RIS Services following the results of the CoRISMa study. RIS COMEX started in the course of 2016 and will last until the end of 2020. 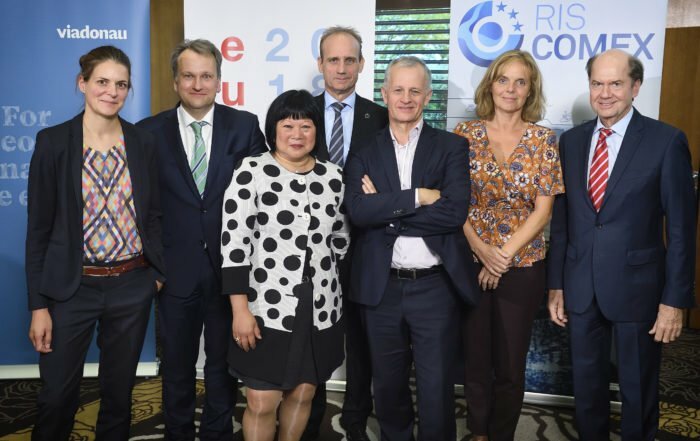 The project area covers altogether 13 different European countries having 14 partners joined their forces under the coordination of the Austrian Waterway Administration viadonau with the common goal to realise Corridor RIS Services. 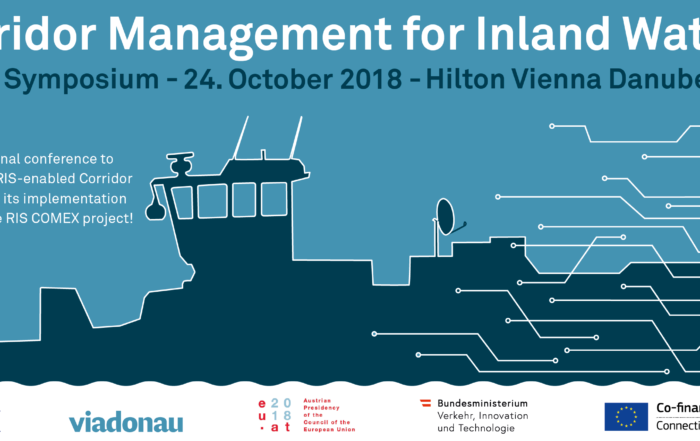 Corridor Management is the next step in the development of River Information Services that are described by PIANC and adopted in the EU RIS directive and the EU RIS Guidelines to improve safety, efficiency and reliability of inland navigation including positive effects on the protection of the environment. RIS COMEX is organised in five Activities reflecting the individual phases of the project whereas those phases must not be considered as classically sequenced. Where Activity 1 deals with classical project management, Activities 2 and 3 are defining, specifying and implementing Corridor RIS Services who’s sustainable operation shall be ensured by the results of Activity 4. Additionally, Activity 5 deals in parallel with other challenges related to the project objectives. 15 partners from 13 European countries are joining their forces within this project, making RIS COMEX the largest RIS implementation project in Europe so far.